Ministry of Telecommunications & Postal Services, Republic of South Sudan (RSS). Among his notable contributions are historic acquisitions of the special number that signifies year of independence, and Internet code (+211 and .ss). In 2010, he received the African Internaut Award from the Commonwealth Telecommunications Organization (CTO/RSS). Previously, he was Executive Chairman of the African Regional Centre for Computing (ARCC) and Grand Jury Member of the World Summit Awards. He has supervised one or more ICT projects in over 40 African countries, and beyond. 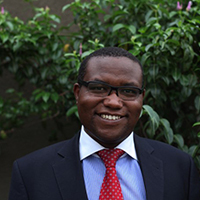 He served as Special ICT Advisor to the Ministry of Infrastructure, Government of Rwanda. In 2007 he received the Kenya Community Abroad (KCA) Excellence Award for pioneering Internet and ICTs in the region. 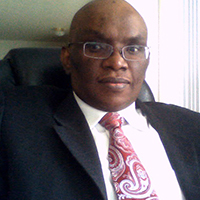 He has 30 years of experience in the ICT field, in private sector, civil society, academia and public service. 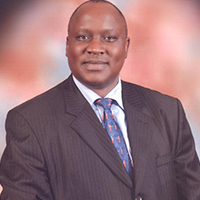 He served as CEO of strategic state corporations in Rwanda and Kenya, and was a Member of Kenya’s 10th Parliament, Chairing the Communications Sub-committee that was instrumental in the development and passage of the Kenya Communications Act – which revolutionized the telecommunications sector in Kenya. He has consulted for various UN and other International Agencies as well as world leading firms like British Telecoms (BT), Telecom Australia (now Telestra), CSELT-Italy, Microsoft, MultiChoice, etc. He has previously been a Senior Lecturer at Kenyatta and Nairobi Universities, and also served as External Examiner in Computer Science for the University of Zimbabwe. 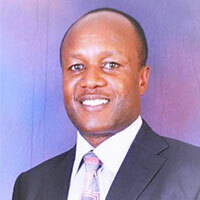 While at Kenyatta University, where he started the Computer Science Department, he led a team that, together with the World Bank, conceived the “African Virtual University (AVU)”. In 2000, he was voted “Father of Internet in Kenya” by the Computer Society of Kenya (CSK). In 2005, he earned the “Industry Pioneers Award” from AfricaOnline for Internet development and promotion in Africa. In February 2014, he was admitted into Kenya’s Hall of Fame by the ICT industry. He is author of the book Dawn of a Rainbow (2012), and has published extensively. His passion for Diaspora spans 3 decades from 1980’s when they co-founded the 1st Global Association of Kenya Diaspora, in 2001 when he co-sponsored the “Dual Citizenship” bill in parliament, right through to 2015 when he led 3 others to Supreme Court victory to secure Diaspora voting rights. is a passionate practitioner and scholar in the field of Clinical psychology whose time is devoted in clinical practice, training and consulting, scholarly writing and research. She is also involved in several community services in Kenya. Her clinical practice is majorly offering treatments to children and adolescent clients with a wide range of emotional, behavioral, and adjustment problems. Her consultancy areas are Psychology, Education, Diaspora and Social issues. 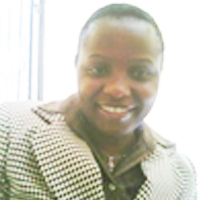 Dr. Ayuya is a lecturer at Daystar University University. Ayuya holds a PhD in Clinical Psychology (Daystar University), MA in Counseling Psychology (Daystar University and BEd (Université Espoir d’Afrique ). She is a member of several organizations such Kenya Professional Trainers Association, Kenya Counseling and Psychological Association, Diaspora Investment Club and the Kenya Diaspora Alliance. She also serves in several boards such as Kenya Diaspora Alliance, Kenya Institute of Social Work and Community Development and Kenya School Farm Project. Ayuya has published in several journals. Gichane also attended and represented KCA at the Kenya Constitution Review Conference, (that led to the new constitution 2010), held at Bomas of Kenya, dubed Bomas II, ( Jan 2004 – March 2004), and succesfully lobbied for Diaspora’s interest in allowing for Dual Citizenship to be enshrined in the new Kenyan Constitution. Gichane is a businessman in Nairobi-Kenya. An investor in Community Development Systems Limited, the owners of Mobile Pay Limited, which owns Tangaza Mobile Virtual Network (MVNO) and Tangaza Mobile Money Trasfer Service licenses. Gichane is also the Chair of the Board of Directors of Exposia Limited, a Tangaza Brands Dealership and a National Sales and Distribution Agency in the Kenyan Market. Gichane is 50yrs old (2016) and is happily married to Augusta Gichane. He is also a happy dad of four children, Muraguri (28), Waruguru(26), Muchai (11) and Wambugu (6). Paul is the Chairman of the Diaspora Investment Club Ltd, and is a Policy adviser in the field of Public Financial Management, operating at the most senior Government levels, and is a Member of the Institute of Certified Public Accountants of Kenya. He has more than ten years’ professional experience in the private, voluntary and public sectors. He is currently leading the implementation of the national capitation grants and cash transfers programmes supported by Girls’ Education South Sudan (GESS), and has played a key role in bringing together GRSS and partners towards getting M-Money operational in South Sudan. Through his efforts, in coordination with key Government personnel, the profile of Capitation grants in South has been raised to the highest levels, and therefore is officially considered a Government priority, as evidenced by the Government’s commitment to meeting all the obligations, despite the crisis and a tight resource envelope. Prior to that, Paul worked for Deloitte LLP as a Treasury Adviser in the Ministry of Finance and Economic Planning (MoFEP) in South Sudan for 5 years, setting Policy objectives for the Ministry, and enforcing the International Public Sector Accounting Standards (IPSAS). Paul has been working in South Sudan since 2007, but has also worked in Kenya, for USAID, EU and DFID funded organizations in the area of Financial Management. Paul is currently completing an MBA with specialism in Strategic Management from the Edinburgh Business School, Herriot Watt University. I am a management scientist practicing in the healthcare and pharmaceutical consulting field. My concentration in academic enquiry is in management science and the practical incorporation of statistical concepts in evolving technology for business decision-making. I completed my undergraduate and graduate education at the University of Texas. I have also been conducting, and continue pursuing research in immigrant remittances, their impact on host and recipient countries and the future of remittances especially as more shifts from the informal to the formal sector in mode of transmission in response to technological developments. For developing countries we also need to understand the factors that are significant in converting the purpose of remittances from subsistent consumption to long-term Investments. I have been an active participant, organizer and leader in Kenyan organizations for the past 20+ years. Of particular note is the leadership role as General Secretary and then President of the Kenyan Community Abroad and our team efforts to enshrine Dual Citizenship into the Constitution of the Republic of Kenya, while at the same time highlighting the plight of Kenyans living abroad who cannot exercise their right to vote (Voting Rights). We recognize that it is a journey, but KCA played a critical role in the various drafts of the constitution (Bomas of Kenya, Naivasha, etc.) and the final adopted version through universal suffrage in 2010. We still need all hands on deck to fully realize this dream.